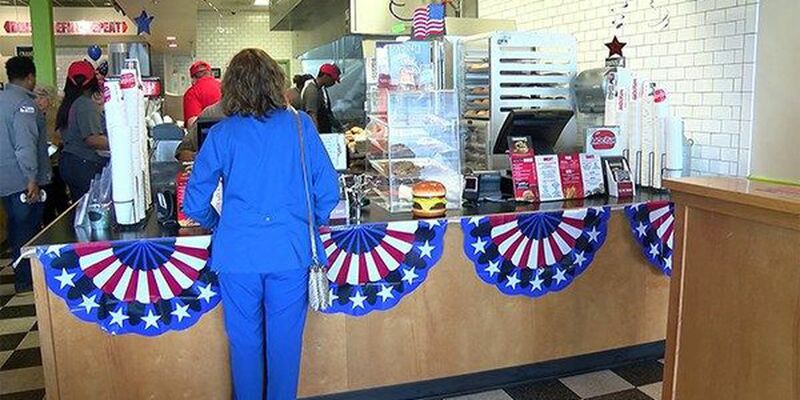 BATON ROUGE, LA (WAFB) - In honor of Veterans Day, MOOYAH Burgers, Fries, and Shakes is collecting donations for veteran care packages. The MOOYAH on Siegen Lane is collecting items like socks, chapstick and small toiletries. They are asking for items that are not too big. Owner Chuck Kerr and his wife both served in the Armed Forces and they said they wanted to give the same love they once received. "When I was stationed in Korea when I was in the Army, we would get gifts from care packages, Christmas cards, pen pal letters, just that sort of thing and it helped us understand that people cared back home," Kerr. "We were 11,000 miles away but we knew that we had the support of the folks and so that's what inspired us to do the care package program." Mooyah is working with Blue Star Mothers of Louisiana to send the care packages abroad. The restaurant will collect donations all day until 10 p.m. Friday.